Lakota is an original Native American language that elders on some South Dakota reservations speak today. There are efforts in a number of places around the country to preserve the language. It’s a vocabulary lesson for a group of young students. 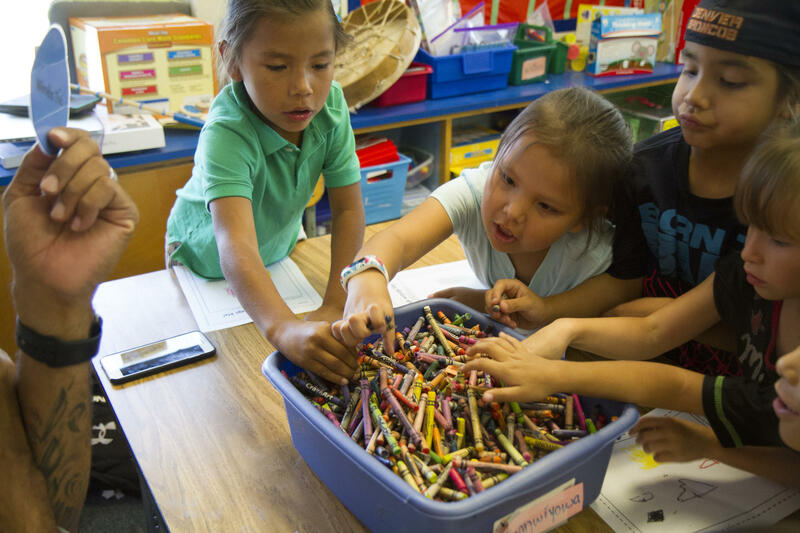 They’re part of the Lakota Immersion Childcare program on the Pine Ridge Reservation. Here, all the learning is done in Lakota. Peter Hill is the Language Coordinator. He says there are hundreds of native populations in the Americas who have lost their language. This program was developed in 2012 to create new generations of fluent Lakota speakers. Hill says their program started with just five kids. Now the group has expanded and is part of Thunder Valley CDC. That’s a development cooperation that works to create new opportunities for native people. The daycare accepts children between 18 months and five years old. They have the staff to support 20 kids at a time and a full waiting list. Hill says they don’t require a strict vetting process for families, but want parents who commit to keeping their child in the program. 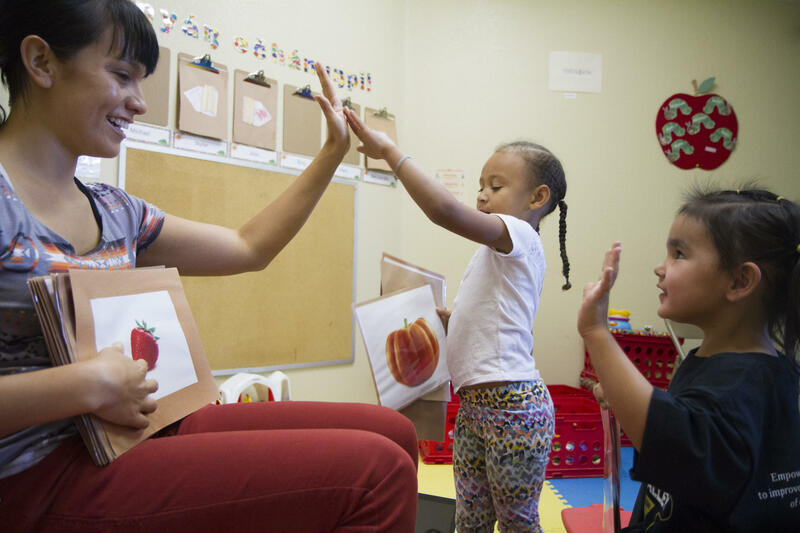 When the kids are old enough to start school, they continue their education in a language immersion classroom at Red Cloud School. In the immersion classroom at Red Cloud School all the posters and student art are written in Lakota. Students learn their colors and shapes with vocabulary words and then draw them in crayon. When I ask them to translate the words ‘yellow square’ into English, they are not impressed. So far, Hill says they have moved two groups of daycare kids into kindergarten and then first grade. Both grades share a classroom. Creating a curriculum entirely in Lakota has been a challenge for staff. Everything from math and science to art has to be thought in the language. Hill says when program started there weren’t many teaching materials available in the language. He says translation is a central focus. He says they try to keep the materials free and widely available so more people can learn. The staff is now developing a second-grade course and preparing for the next generation of daycare students.